Nobody dared yet to do this event in the country. I wonder why. Is it because we are ignorant that there is such event that is known worldwide? Is it because we are afraid that we are promoting drinking of liquor mixed with sports? Or we are just simply lazy or afraid of promoting this kind of event that promotes camaraderie among runners and friends? Or is it because there is no profit in it that race organizers would not dare to do it? For the past weeks, I’ve posted a request on Facebook for any of my “friends” to “connect” me with anybody who is employed with any of the Corporate Beer Companies in the country. I got some positive comments and some promises to connect to this person and this person. But it ended there but I still waited for some more time if ever I would be able to link-up with the Heads of Sales of these companies. I waited but such promises ended as promises! However, I am still waiting for these Corporate entities to sponsor this event. With or without sponsors, this event will have to push through. Who cares? I really don’t care if I don’t have any sponsor in my events. The RUNNERS are the actors/actresses in this event! The show must go on! I wanted a “low-key” oval track for this event and I thought of the Rizal High School Oval Track in Pasig City to be an ideal place for the sake of simplicity. After a simple coordination with the right authority to give the approval for the use of the said facility, the event is now a reality! This Beer Mile Run is FREE but runners/participants will have the distinction to be invited through this post in this blog. I will be clear on those runners to be invited for the inaugural conduct of this event. These invited runners are those who have supported me in my initial BDM & PAU Races and our ultra supportive friends. And for those who were not invited for this inaugural event, they will have the chance to experience this in the monthly conduct of this run. However, they can still come as spectators in the said event. The following runners are invited in the Inaugural BR’s BEER Mile on June 10, 2012. The activity will start at 6:00 AM at the Rizal High School Oval Track. 1. Each Runner-Participant will have to register to the Secretariat with four (4) Beer In Cans. We are not strict on the brand of the beer as long as it has 5% alcohol content by volume. NO BEERS IN BOTTLE! 2. There will be five (5) Waves of runners. Each wave will consist of sixteen (16) runners. Composition of WAVES will depend on the order of registration for each runner—FIRST TO REGISTER, FIRST TO RUN! 3. Secretariat will be ready to accept the registration of runners at 5:30 AM and the first Wave will start at exactly 6:00 AM. 4. Cut-off time for each Wave is 20 minutes. The next Wave will start immediately after the cut-off time have lapsed. 5. At the Starting Area, runners should be at least 5 meters behind the starting line & holding their beer in can. Start of the Race will commence once the RD says “GO”. Then runner opens the beer and drink the full content of the beer before starting his run (still behind the starting line). Runners will be disqualified if they won’t be able to finish/consume the contents of can before they start their run. 6. Before completing each lap, runner has to drink another beer before he/she crosses the starting line in order to start the 2nd lap, then the 3rd lap and then the 4th/last lap. To complete the event, each runner must have consumed 4 beer in cans and had ran 4 laps. 7. If a runner vomits, he/she is penalized for another lap around the track (4 laps + 1 lap penalty). (Note: We will not have marshals to monitor each runner during the run. So, we hope that runners would accept that they vomitted during the run and take upon themselves and run the additional lap as penalty). No matter how many times you vomit, you only have to run ONE additional lap to complete the run. PLEASE DON’T VOMIT ON THE TRACK. 8. Results will be posted in my blog and will be sent to http://www.beermile.com to represent our country from the list countries registered in this event. “Personalized” Finisher’s Certificate for each runner will be available on a later date. 9. Commemorative T-Shirts will be available FOR SALE (P 300.00 each). The word “FINISHER” and date of the event will be printed at the back of the shirt. 10. 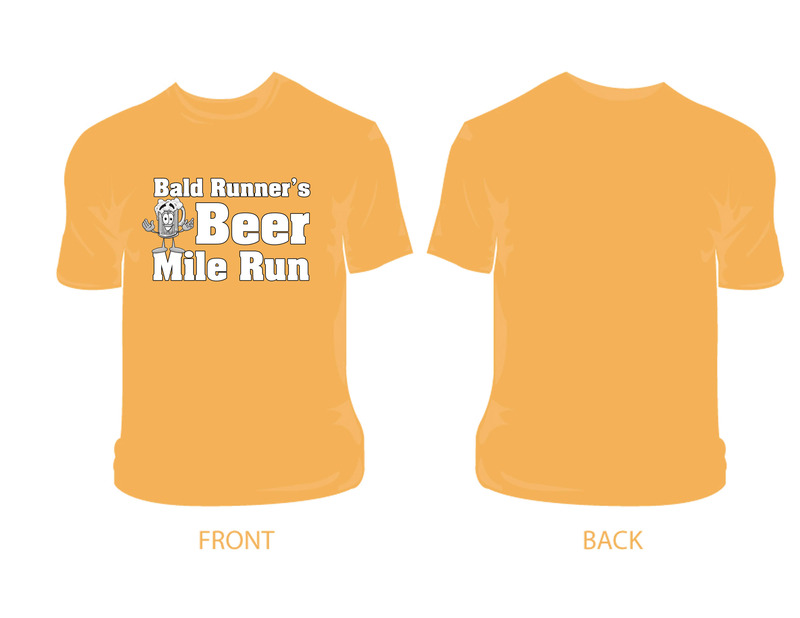 For details on the rules and regulations, please check www.beermile.com. 1. My sincerest apology to those who were not included in this initial list. However, if you have time, you can be a spectator of this event. If there will be runners in the list who could not make it in the event, we will ask runners from the spectators to fill in the list. Make sure you bring 4 cans of beer. 2. The Parking Area at the Rizal High School is very limited. We encourage “carpooling” among running club members! 3.Donations for Additional Beer In Cans and bite foods (“pulutan”) are highly encouraged. 4. We will try our best to have this event on a monthly basis. Hi Sir BR! Can I be invited just in case somebody back out? Thanks!! I doubt if there is any fear promoting alcohol, drinking and sports considering all the placement in sporting events and teams. And a pure marketing event can easily provide the income that would make it worthwhile for an organizer. It’s good that BR has taken the initiative. Personally, I don’t like alcohol but to each his own. I would not be surprised if this event becomes a big success. Good luck and cheers!